One of the most iconic images for the Game of Thrones television series is the one in which Ned Stark (Sean Bean) is sitting in the Iron Throne. A countless number of parodies have originated from the original image and range in inspiration from video games through to The Big Bang Theory. 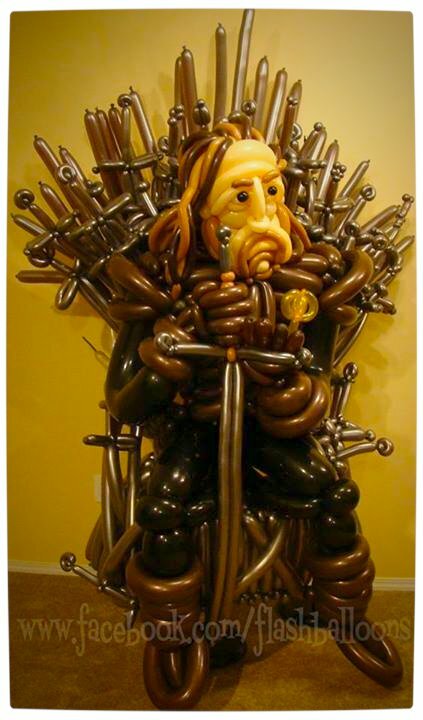 This time, however, the Iron Throne has been meticulously crafted out of balloons. The ‘Throne of Balloons’ was created by Flash Balloons, a company that specialises in balloon crafting, and took over 16 hours to make. It is, without a doubt, a labour of fan love.